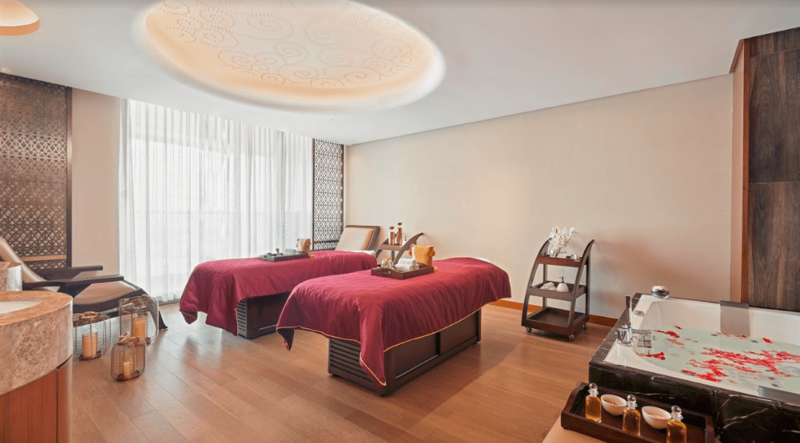 At Grand Hyatt Kochi Bolgatty’s Santata Spa, you are guaranteed bliss – well the meaning of the word Santata itself is inner harmony and tranquility in Sanskrit. 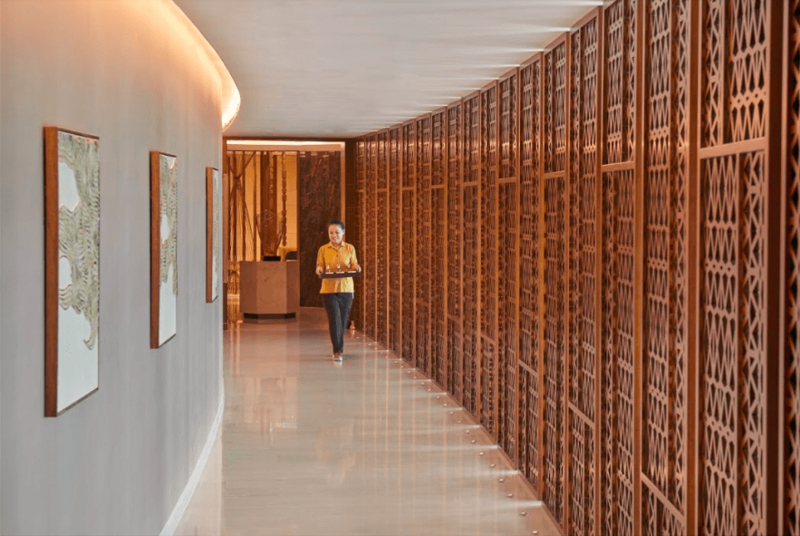 Set on the backdrop of serene backwaters of Kochi’s Lake Vembanad, the Śāntata spa at Grand Hyatt Kochi Bolgatty is an international spa offering both modern wellness experiences as well as traditional Ayurvedic treatments. Their signature series is an amalgamation of both western and Indian therapies delivering well being through the integration of physical, emotional, mental and spiritual health. Incorporating various curated spa rituals and wellness activities embracing a holistic philosophy for body, mind and soul. The menu of Śāntata is curated in connection to the challenges of modern era. While it is innovative and refreshing, yet the ancient principles of wellness are not compromised. You can experience a true amalgamation of East and West healing practices. “The menu is divided into four sections, Signature therapies, International Series, Indian Series and Skin & Beauty Treatments. We have total four signature treatments starting from 90 minutes to 180 minutes of rituals,” says Damodaran Kallippale Spa Manager. The spa therapies take inspiration both from the century’s old Ayurvedic techniques as well as Western therapies to offer customized rejuvenation therapies that are beneficial for the mind, body and soul. The signature series is created from their own blend of these therapies. I am suggested to try the Spice Symphony – the art of holistic living treatment by the Spa Manager and I comply happily. This is an all senses experience that is brought alive by a curated blend of oil prepared in house using cinnamon, peppermint and cardamom used in combination with a herb infused bundle. Post the treatment I am advised to change and take steam for at least 10 minutes and then shower before starting. This is to help the pores open up so that the oil is absorbed better for a holistic spa experience. Once done, my therapist Rita leads me to my treatment room that has a nice contemporary, chic décor and begins with a foot ritual. Using Ayurvedic sea salt to clean my legs in warm water, this feels relaxing and sets the tone for the massage to follow. This treatment is done in two stages. The first stage involves a massage using the warm herb bundle with oil that is infused with cinnamon, peppermint and cardamom to mimic the contents of the bundle. Keeping the bundle warm through the session, Rita massages my whole body with the bundle which helps me to relax immediately. After this she starts with an oil massage which takes close to an hour and works her way through my tired muscles using a combination of different strokes in perfect synchrony. The light fragrance of the oil, lilting tones of the music and the perfectly balanced strokes make for an experience that is both rejuvenating and restful. The massage almost put me to sleep for a while and the 90 minute ritual is certainly one that must be experienced as a great way to spend time reconnecting with yourself. A shower is not really recommended immediately as waiting for a while will ensure the oils penetrate well into the body. After this session, I felt recharged and all geared up to explore the other wonders of the coastal city of Kochi. Architect: Wimberly Allison Tong and Goo, UK ltd.